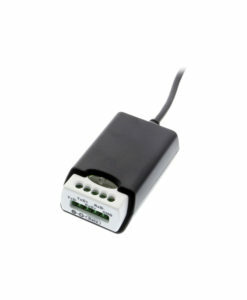 The USB-16COMi-RM is an Isolated USB to 16 Port COM Serial Adapter for RS-232 422/485 communication devices. Includes rack mounting kits for industrial use. 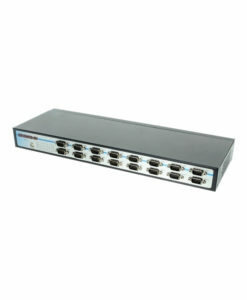 Adds 16 Isolated serial COM ports to your system. Industrial-grade metal chassis for Rack Mounting needs. External DIP switches for easy RS-232, RS-422, RS-485 mode settings. The USB-16COMi-RM is an industrial 16 Port USB to RS-232 Serial Adapter that also utilizes RS422, RS485 communication signals for various serial device connections. Constructed within an industrial-grade metal chassis for harsh environments and circuit protection. The system USB bus is utilized in the operation of the 16 Port USB to RS-232 422/485 Serial adapter while using Plug-and-Play features for installation purposes. The USB-16COMi-RM serial adapter is automatically recognized as additional COM ports with no system IRQ, COM conflicts or configuration necessary. The adapter’s circuitry contains a built-in switching power supply of 100V/240V (input) for operation. Mounting to a 19 inch communication rack is accomplished with the included rack mount kit and DIN-Rail brackets for industrial serial applications. The Industrial 16 Port USB to RS-232 Serial Adapter provides connectivity to such serial devices as modems, ISND, TA’s, POS, serial printers, and more. Signal mode settings are controlled from 16 DIP switches located to the back of the adapter as shown below. 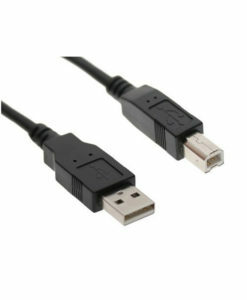 This USB to Serial Adapter is Ideal for remote access, retail and industrial applications. W: 451mm L: 152mm H:44mm with DB9 connector and ears. The 16 Port USB to RS-232 422/485 Metal Serial Adapter has certain accessories that work with it. These accessories are what you can order if needed. Did you misplace or break a part that came with your 16 Port USB to RS-232 422/485 Metal Serial Adapter? Purchase it here!